There are many natural ways to remove skin tags at home from the body, some of which involve assistance and some of which you can do yourself. We’ve covered many of the more popular remedies, such as Tea Tree oil, Tag banding and Apple Cider Vinegar. However, there is a host of other remedies that have been tried and found to work that don’t get mentioned as much. So, we’re going to look at ways to remove skin tags with some of these other remedies. Using natural remedies to remove skin tags can take some patience, but the results are a painless way to remove skin tags that leaves no scarring and doesn’t clear out your bank account. It tends to be a gentler process and great for those who have sensitive skin and don’t want to use chemicals to get rid of their tags. 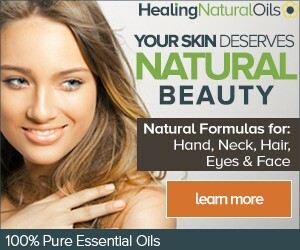 Many essential oils are used to help remove skin impurities and keep it healthy. They can also help rid yourself of blemishes, such as skin tags without any scarring. Using a mixture of a half teaspoon of basil oil, eight teaspoons of sesame oil and one teaspoon of oregano oil, create a mixture that you an apply to your skin tag with a cotton ball. This can be left on for an hour, rinsed and then repeated each day until the skin tag falls off. Another good blend to try is equal parts of avocado and lime oil, also applied to the skin tag using a cotton ball. Leave this on for about 30 minutes, rinse well and repeat the process two times a day. Black walnuts contains essential fatty acids, minerals and proteins that all work to eliminate bacteria that forms on the skin. But the main ingredient it brings to the skin tag removal party is juglone. Juglone works by making the skin tags cells so toxic our how body works to kill them off, killing the tag in the process. You will need at least 10 black walnuts for both of the following methods, green husks removed. It’s the green husks that you will be working with so don’t toss them away! In a pot with enough water to submerge the husks completely, bring the pot to boiling point, turn off the heat and cover the pot. You will need to let this steep for 24 hours. Once it has passed 24 hours strain the liquid into a container. You can apply this to the skin tag three times a day and repeat this until the tag has fallen off. Some people like to add a bit of Vitamin C powder to this mix as well. Another way to use black walnuts as a way to remove skin tags is to make a tincture. For this method you will need to put the green husks in a jar and then cover them with a grain alcohol. Cover the container tightly and leave it to sit for two days undisturbed. Strain this mix and add an equal amount of water, stir and apply this to the skin tag. You can do this up to 3 times per day until you see results. Baking soda is such a versatile ingredient. We use it to whiten our teeth, stop heart burn, deodorize and scrub things clean. It can also be used as one of the ways to remove skin tags from the body. It works by drying the out the tag, killing off the bacteria that causes them in the first place, and gets the skin’s pH levels back I balance. Make a paste using a teaspoon of baking powder and water. Apply this to the skin tag and leave it on until it has dried, then rinse with lukewarm water. You can repeat this process 3 times per day until the skin tag has fallen off. Know for its properties of regeneration that helps in promoting new skin cell growth and increasing the circulation of the skin, frankincense has nutrients that can painlessly remove skin tags without scarring. This method should not be used on children, nursing mothers or those who are pregnant. Using a 50/50 mix of frankincense and castor oils, apply to the skin tag using a cotton ball or swab. Cover this over with a bandage and leave overnight. Some people will do this process twice, using a fresh application and bandage during the day and then at night. Comfrey contains a list of vitamins and minerals that all work to brighten and hydrate the skin, regenerate new skin cells and kills of the bacteria that is known for causing skin tags. The best part is, all you need do is use skin care products that have comfrey in them on the skin tags. Aspirin contains salicylic acid, an ingredient used in most wart and skin tag removal over the counter products. It also works as an exfoliator, removing impurities from the skin. Simply crush one aspirin into a powder and apply it to the tag. You can cover it with a small piece of duct tape (also used as a remedy for removing skin tags) and leave it overnight. Rinse it off in the morning and repeat the process each day for up to 3 weeks. You can also mix the crushed powder with some water and apply in the same way. As you can see, there are numerous natural ways to remove skin tags at home that are not costly and offer a gentler option to chemical based remedies. They do take a bit longer to work, but you won’t have any scarring like you can get from having the skin tag frozen, burned or removed with a chemical peel. What Causes A Skin Tag To Be Painful? Are There Natural Ways to Remove Skin Tags? Hey there, I'm Susan, founder and editor in chief here at GettingRidOfSkinTags. I studied Dermatology at Rush University in Chicago and now I carry out various case studies, as well as write the occasional blog here, in an attempt to make the healthcare sector a safer and better place. Getting Rid of Skin Tags Copyright © 2019.